Who Are Your Greek God Parents? Someone gets you over-the-top mad. What do you do? Someone gives you a flirtatious look. What do you do? Do you like to create new things? Do you love boys (girls)? If someone doesn't reply to your text. What do you do? 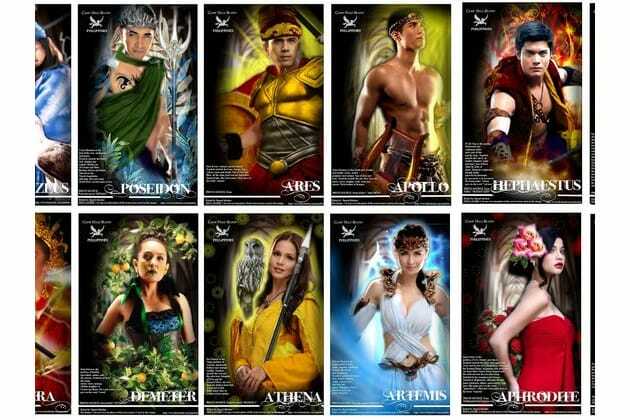 Final question.........Are you into Greek gods/goddesses? You are fiery when angry, almost want to shoot someone with a lighting bolt. You also long for a family. You can be complicated at times, but you just don't know it. If you ask anyone that you will be that complicated person. You like to be in the lead with things maybe a little bit too much. You are in LOVE with nature. You love sitting at the ocean shore with a nice drink in your hand. You are very vain when it comes to love and marriages. You have no interest in finding a man, yet. You always see around problems and never conflict it at all. In your world, it is always very peaceful. You love being in lead. If there is a group project, you are always taking command. You love to hear about history in class. You don't really have any interest in boys(or girls) what-so-ever. You're just not ready. You need to wait until you find the right one. You are VERY, VERY tough. To have both war gods as your parents.........man stay away from this person. You are not all about that family life. You like to roll solo. You are very wise. People usually fear you or see differently of you. You don't really care about people's opinions. Most are very fond of how you act or see yourself. You are a flirtatious party-er. You are absolutely in love with love itself. You are extremely good-looking but you just don't know it. Every guy really wants to get a piece of what you have. You love to party. You are always the life of a party. Never does anyone see you just sitting at the edge of a room. You are a crafty, flirtatious person. You love to make things new, while flirting with other people. You also love to see other couples. Your parents are complete opposite in looks. You look "average" to most people. Not too ugly, not too pretty. Just don't wear makeup! Find out if your real parents are Poseidon and Aphrodite. Or Zeus and Hera. Or many others.